Endotoxins are the Lipopolysaccharide-protein complexes (LPS), responsible for making an integral part of the cell wall of Gram-Negative Bacteria and are released at the time of cell death or lysis of bacteria. Exotoxins are the proteins which are secreted by few species of bacteria and get diffuse into the nearby or surrounding medium. Secondly, endotoxins are heat stable, weakly immunogenic while exotoxins are heat labile, highly antigenic. Endotoxins are produced by Gram-negative bacteria, while exotoxins are generally produced by Gram-positive or some by Gram-negative bacteria. The underlying mechanism through which many pathogenic bacteria produce disease or the ability to produce toxins is known as Toxigenesis. If we discuss at the chemical level, there are mainly two types of bacterial toxins. Firstly the one which is associated with the cell wall of Gram-negative bacteria known as lipopolysaccharide, while the other one is the proteins, which act at the tissue sites after releasing from the bacterial cell. So, endotoxins are the cell-associated toxins, while the exotoxins are extracellular diffusable toxins. Bacterial toxins are proteins that are capable of achieving various tasks. They function as individual molecular devices, targeting the specific cell of an organism and destroying them in some of the other ways. Toxins can trigger the host in multiple ways, for example, by activating immune responses (S, aureus superantigens), inhibiting protein synthesis (diphtheria toxin), activating secondary messenger pathways (cholera toxin), by damaging cell membrane (E.coli hemolysin) or even by the action of metalloprotease activity (tetanus toxin). Toxins are present and can function in a variety of forms, among them Lipopolysaccharide (LPS) is considered to be the most powerful endotoxin. In this content, we will discuss the points on which the two toxins ‘endotoxins and exotoxins’ differ with a brief description of them. Meaning Endotoxins are the lipopolysaccharide-protein complexes, responsible for the making an integral part of the cell wall of Gram-Negative Bacteria. Exotoxins are the proteins which are secreted by a few species of bacteria. Endotoxins are part of the cells. Exotoxins are released from the cell. After the lysis of the gram-negative bacteria. In the living gram-positive and gram-negative bacteria. Exotoxins are heat liable and destroyed beyond 60-80° C.
Endotoxin does not get denatured. Toxoids Conversion Not possible. Possible. Various test like neutraliation, precipitation, etc. High enzymatic activity. No enzymatic activity. They are specific to particular bacterial strain. Salmonella typhi, E.coli, Vibrio cholera, Shigella. Bacillus cereus, Bacillus anthrcis,Staphylococcus aureus, Streptococcus pyogenes. The endotoxins are located in the cell envelope or outer membrane of the bacteria, these are referred to as cell-associated substances which are responsible for the structural components of bacteria. Endotoxins are also called as Lipopolysaccharides or LPS. The LPS are present on the outer surface of the Gram-negative bacteria and under some condition becomes toxic to the host to which it is attached. 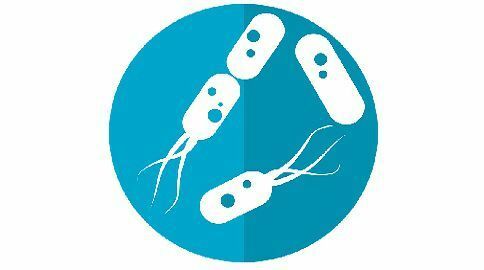 In bacteriology, the term ‘Lipopolysaccharides’ is reserved to the complexity associated with the outer surface of the Gram-negative pathogens like Escherichia coli, Pseudomonas, Shigella, Haemophilus influenza, Vibrio cholerae, and Bordetella pertussis. The LPS discharged at the bacterial cell lysis or cell death. In this, the toxicity is related to the lipid component (Lipid A), while immunogenicity is with polysaccharide components. In the animals, the LPS evoke numerous inflammatory responses and activates complement by the alternative pathway. The Gram-negative bacteria release a small amount of endotoxin while growing, which plays an important role in enhancing the natural immunity. Exotoxins are generally secreted by bacteria and act enzymatically or with the direct action of the host cell. These are released by bacteria into the surrounding. Exotoxins are proteins or polypeptides, and most of them act at tissue site which is away from the original point of bacterial growth or invasion. Usually, the exotoxins are secreted at the exponential phase of the bacterial cell. The toxin production is specific to certain species of bacteria which are known to produce disease like for example Clostridium tetani are known to produce tetanus toxins; Cornybacterium diphtheria is known to produce diphtheria toxin. These are the virulent strains of the bacterium which produce toxins, whereas nonvirulent strains do not. Exotoxins are considered to be the most toxic and lethal substance, and they are toxic even in nanogram-per-kilogram of concentrations. Endotoxins are the lipopolysaccharide-protein complexes (LPS), responsible for making an integral part of the cell wall of Gram-Negative Bacteria. Exotoxins are the proteins which are secreted by a few species of bacteria. Though endotoxins are considered to be more toxins than exotoxins. Endotoxins are the part of the cells, as they are associated with the outer membrane of the Gram-negative bacteria, and is released at the cell lysis, while exotoxins are secreted within the cell and are active in Gram-positive and Gram-negative bacteria. Exotoxins are released from the cell. The molecular weight of endotoxins may be between 50-1000KDa and are associated with the Lipopolysaccharide complex, on the other hand, the exotoxins have the molecular weight of 10KDa and is related to the protein complex. Endotoxins are stable at 250 ° C and do not get denatured, while exotoxins are liable are 60-80 ° C and gets denatured on boiling. Immune Reactions gets weak when endotoxins trigger the cell and have high enzymatic activity but poor antigenicity, whereas during exotoxins reactions the immune reactions are strong, though there is no enzymatic activity and high antigenicity. Sepsis, meningococcemia is the disease caused by the endotoxins, while Diptheria, botulism, tetanus are caused by exotoxins. Examples of the bacteria by which the LPS or endotoxins are triggered are Salmonella typhi, E.coli, Vibrio cholera, Shigella, while Bacillus cereus, Bacillus anthracis, Staphylococcus aureus, Streptococcus pyrogens are examples for triggering exotoxins. Bacterial toxins are the most powerful and effective human poisons and highly active at high dilutions. In this content, we came to know about endotoxins and exotoxins and how they differ and affect the animals and their immune system by their chemical nature.